Our proven Information-Decision-Action (IDA) continuous improvement framework empowers your people to embed long-term sustainable improvement. It enables them to lead change which fully integrates end-to-end service flows and locks in an outcome-focused approach into your transformation strategy. Our continuous improvement approach helps target service improvements appropriately and effectively by moving organisations from reactive to preventative. The organisation responds to problems as they arise, often inefficiently. Work is undertaken to remove variation and improve process capability. Anticipating fluctuations and cyclicality, improvement becomes systematic. The organisation is focused on improving processes to generate better outcomes. The organisation is engaged with the whole system and continous improvement. Creating a continuous upward spiral of improvement and learning requires not just tools and methods, but also involvement from key groups in the organisation. 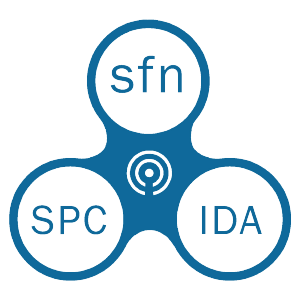 IDA is a highly practical and teachable framework, building on an SPC approach and supported by the sfn tool and viewers. A key element is the ‘IDA Architecture’ – a definition of who comes together, at what frequency, to make decisions on which processes. The architecture links your key strategic imperatives – normally defined by desired outcomes – with the issues and opportunities ‘on the ground’. The expectation is for the groups involved in IDA to focus on proactively planning and executing improvements that lead to better outcomes, rather than reporting on past performance. See how St John are implementing IDA. Training video extract courtesy of St John Ambulance Service. SPC information is a key input into the improvement cycle. This focus on evidence based decision making creates a structured approach for groups to rapidly understand the opportunities for improvement, explore options, make rapid but considered changes and see the impact of those changes within a short period. In as little as eight weeks we can demonstrably make your business better – saving budget, improving performance and actively engaging staff.